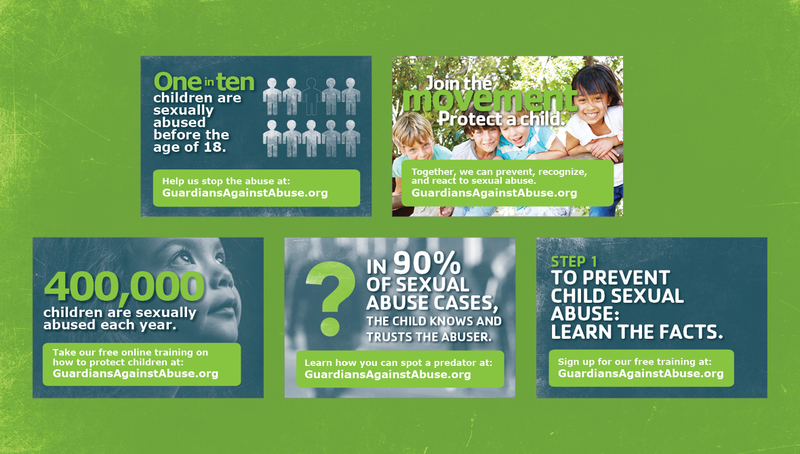 Statistics show that 1 out of every 10 children are sexually abused before their 18th birthday, and in 90% of these cases, the child knows and trusts the abuser. 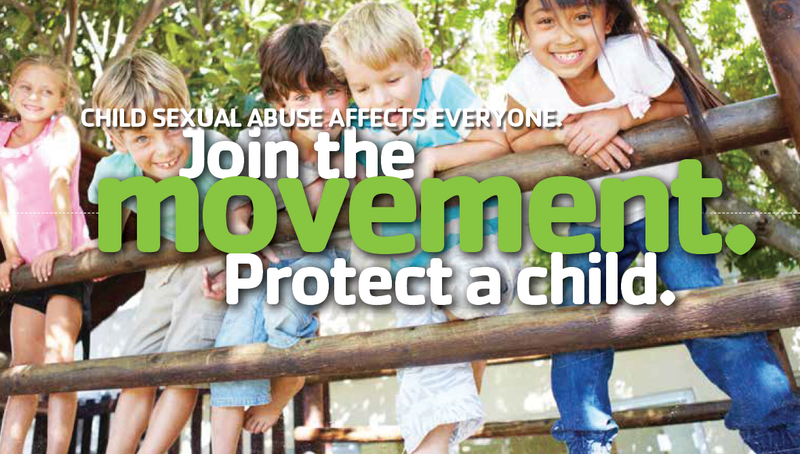 To address this issue, the YMCA of Central Ohio wanted to promote the Stewards of Children Sexual Abuse training course, educating adults on how to effectively prevent, recognize, and react to child sexual abuse. With this in mind, the organization asked Origo to create a cause marketing strategy to spread awareness around the online training program, encouraging coaches, educators, parents, and child care professionals to sign up and take the training. To drive users to the online training, Origo developed a campaign around the message: “Join the Movement. 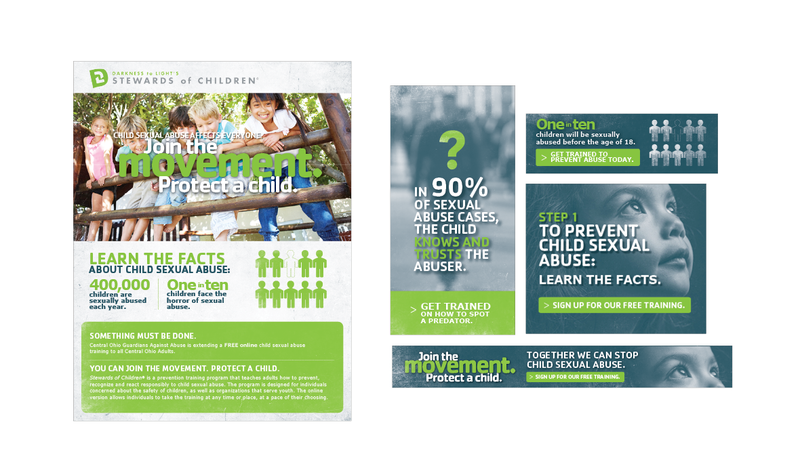 Protect A Child.” Creating a design style for the campaign brand, we then applied our approach to awareness tactics, such as a motion graphics video, social media graphics, an e-mail series, a printable handout, digital banners, a campaign splash page, and a media toolkit.